GSMVRO offers a great selection of Gatlinburg Cabin Rentals under $100 and and 100’s less than $150! Keep in mind this can vary greatly depending on the time of year/season and especially during holidays. One of the keys to finding cheap cabins in the Smokies is to plan your vacation several months in advance. 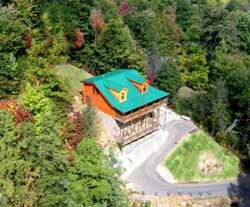 It only makes sense that inexpensive Gatlinburg cabins are the first to be rented or reserved. If you are planning your vacation at the last minute don’t lose all hope, there is still some opportunities to find cabins even at the last minute! Often if you have waited to long you can still find many condos under $100, these offer excellent value in many cases. Be sure to visit GSMVRO often as many cabin owner will display great cabin specials at the last minute. As you can see finding Cabin Rentals Under $100 is not impossible at all and with a little searching can be very rewarding for the savings it can offer. Budget cabins Gatlinburg is one of our specialties and although GSMVRO does not own or manage any of the cabins on our website we work very hard to make locating the perfect rentals for your vacation both easy and fun. Use our search features to refine and narrow the search till you have found the perfect Gatlinburg cabins and then just let the family take a vote on their favorite chalet rentals. If you are not having any luck just expand your search to include Pigeon forge rentals $100. Pigeon Forge is only 5 miles away and offers many of the same features and pricing as Gatlinburg. If you are starting your search early enough you may even find rentals under $80 or once in a great while Gatlinburg cabin rentals under $50. For that price range plan early and be diligent. If you prefer downtown Gatlinburg TN these can command fairly high year round rates due to their proximity to all of the main Gatlinburg Attractions and activities. While researching your Smokies vacation be sure to visit our Gatlinburg Web Cam Page. 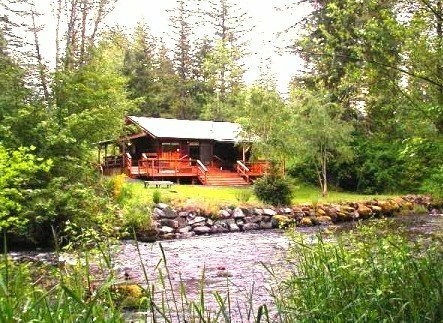 When searching you will be surprised to learn that many of the cabins with jacuzzi will still be less than $99 a night. GSMVRO wants everyone to enjoy their stay in the Great Smoky Mountains TN. You will find yourself wanting to visit and explore the area year after year. There is so much to see and do. You will enjoy Dollywood, Splash Country, Ripleys Aquarium of the Smokies, Ober Gatlinburg, The Country Tonight theater and the Comedy Barn just to name a few. On your next internet search for a Gatlinburg cabin on GSMVRO. need something for romance getaway for new years weekend ! It appears like some of the written text in your posts are running off the screen. Can somebody else please comment and let me know if this is happening to them too? Wow i really want to move there. 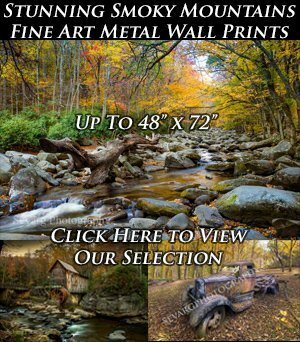 Would like more information about the picture in top left corner. Where is the cabin that is pictured at the top of this page and where can I locate rental information?